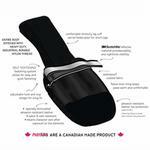 Prepare your pup's paws for any conditions with the Muttluks Fleece-Lined Dog Boots. Breathable, waterproof exterior fabric and are suited for hot or cold weather conditions. 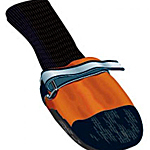 Self-tightening 3M reflective touch fastener straps, fleece-lined, treated leather soles and cuffs which come up the leg. Dog paws need to be protected, just like human feet. 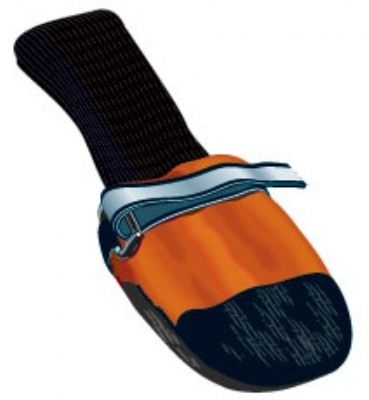 The Orange Fleece-Lined Muttluks dog shoes are perfect for hot sand, hot pavement, hiking, rain or snow. Active dogs will thank you. Muttluks Fleece Lined Boots - Orange Customer Photos - Send us your photo! Buddy loves playing out in the snow but this week has been single digits and below zero wind chill, which hurts his little paws to be out more than 2 minutes. So we searched and found Muttluks which arrived yesterday and Buddy is able to play again. He isn't keen on staying still while we are putting the boots on but he sure appreciates warm paws. We are very pleased with our purchase and the very, very fast service. Posted On 10/23/17 by Courtney F from East Jordan, MI Yes, Courtney F recommends this product! This is the second pair of boots I have gotten for my boxer. They are the best, keeps her feet warm in the winter months in Norther Michigan.